Penny is an author, playwright, teacher and speaker from Kent. She is best known for the Theodora’s Diary books, a series of comedy-novels, likened to a Christian Bridget Jones’ Diary. She has also written The Art of Standing Still, a novel based in Kent, about a community that revives the tradition of medieval Mystery plays. Penny writes plays and scripts, including Warden Pie a ghost story set in Canterbury and The Gingerbread Man, The Golden Chain and Saffron Hill for Tricolore, an English/Italian theatre company. She provides the scripts for children’s DVD series Henry Hand Puppet. 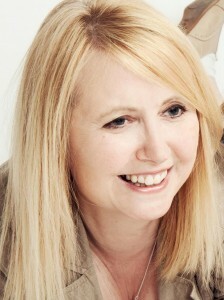 She is experienced in speaking to writers groups, at arts festivals and can often be heard on BBC Radio Kent. She is also a primary school teacher and was recently licensed as a Lay Reader in the Church of England. She has been married to Marc for over 30 years and they have two grown up children. She likes chocolate, TV sitcoms and unexpected acts of kindness. She dislikes celery, stick insects and people who take themselves too seriously.